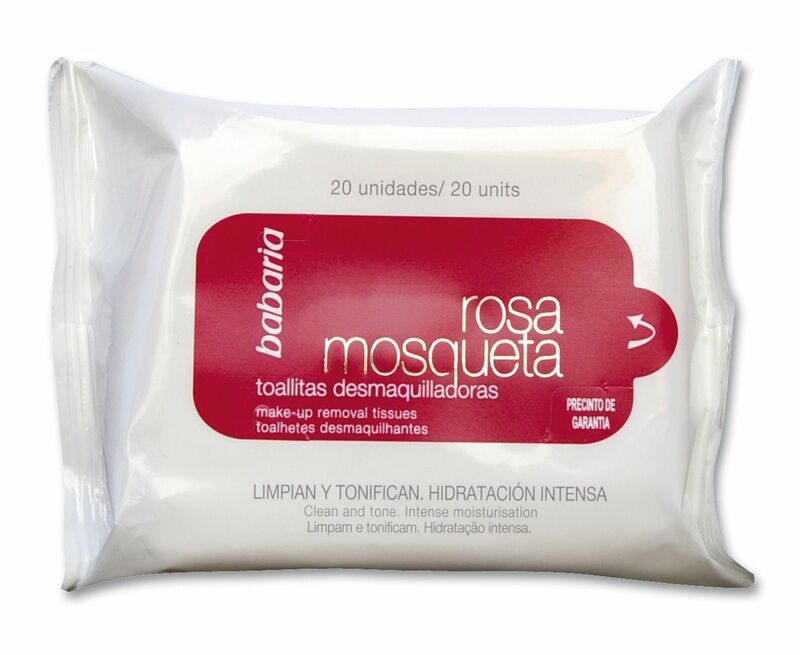 Make-up removing tissues for the face and eyes with the added benefit of Rosehip Oil. Suitable for all skin types. Formulated to clean and tone the skin at the end of the day, eliminating any remaining make-up and to freshen and tone the skin in the morning before you moisturise. Advanced cleansing emulsion hydrates and softens skin. Fast, effective and incredibly convenient. Research has shown Rosehip Oil to have remarkable results when applied to sun damaged skin and expression lines as well as old acne scars, stretch marks and post-operative scars. • Towels are great for travelling. Lighter and easier to use. • Rosehip Oil helps to keep your skin moisturised. • For use both morning and evening. Aqua, Cetearyl Isononanoate, Ceteareth-20, Cetearyl Alcohol, Glyceryl Stearate, Glycerin, Ceteareth-12, Cetyl Palmitate, Polysorbate 80, Sorbitan Oleate, Phenoxyethanol, Methylparaben, Ethylparaben, Rosa Moschata Seed Oil (Aceite de Rosehip Oil), Parfum, Imidazolidinyl Urea, EDTA Tetrasodium, BHT, Paraffinum Liquidum, Ascorbyl Palmitate, Tocopheryl Acetate, 2-Brom0-2-Nitropropane- 1, 3-Diol, PEG-40 Hydrogenated Castor Oil.